Footnotes on the 2020 Caucus: What will Cory Booker eat at the Iowa State Fair? Footnotes on the 2020 Caucus is an occasional series observing some of the traditions, rituals and oddities of the Iowa presidential caucuses. 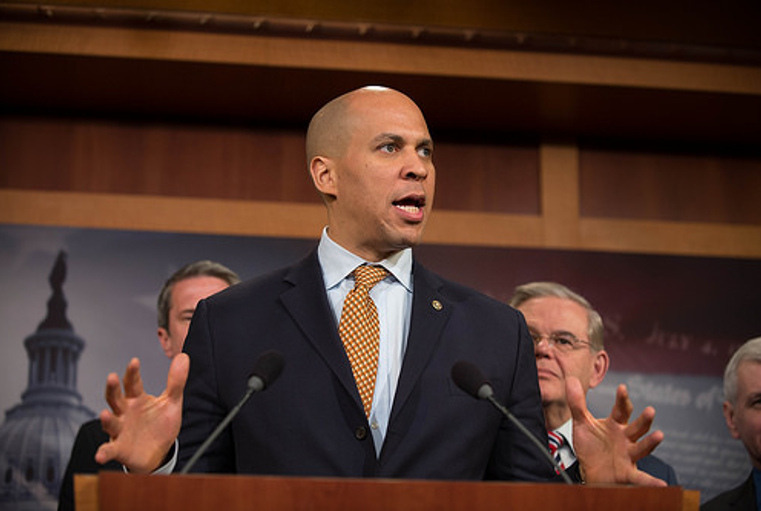 Sen. Cory Booker officially announced his candidacy for president on Friday. The announcement, which he made on Twitter and in an email to supporters, probably only surprised people who thought the New Jersey Democrat had already declared his candidacy. Booker joins three other U.S. senators (Kristin Gillibrand, Kamala Harris and Elizabeth Warren), two members of the House of Representatives (John Delaney and Tulsi Gabbard), two mayors (Pete Buttigieg and Julian Castro), a business man (Andrew Yang) and an author (Marianne Williamson) as declared candidates in the race for the Democratic nomination. More Democrats are expected to join the race soon. Although none of them are from the state, Booker comes the closest to being an Iowan, genealogically speaking. His maternal grandmother was born in Des Moines, and he has a number of cousins who live in the state, as well as his 99-year-old aunt, Alma Morris. But an article published by the Newark Star-Ledger suggested he might have problems with a ritual in which presidential candidates in Iowa typically participate. Since the presidential caucuses first achieved national prominence in 1980s, Iowans have become accustomed to candidates eating and praising Iowa-raised pork. But as the Star-Ledger’s Tom Moran noted in his summary of what he has learned covering Booker for 20 years (short version: Booker is a progressive, known for a silver tongue and getting things done), the senator is a vegan. Every four years there’s a parade of powerful politicians eating pork tenderloin sandwiches or pork chops on a stick at the Iowa State Fair. There are also plenty of local barbecues across the state candidates are wont to attend. Trips to Hamburg Inn No. 2 are almost mandatory. And there are lots of other meet and greets that feature food. In other words, Iowans, and national news audiences who watch caucus coverage, expect candidates to engage in public displays of eating. Even Donald Trump, a notoriously finicky eater (he prefers his steaks well-done and his chicken McNuggeted), publicly ate a pork chop on a stick at the 2016 Iowa State Fair. 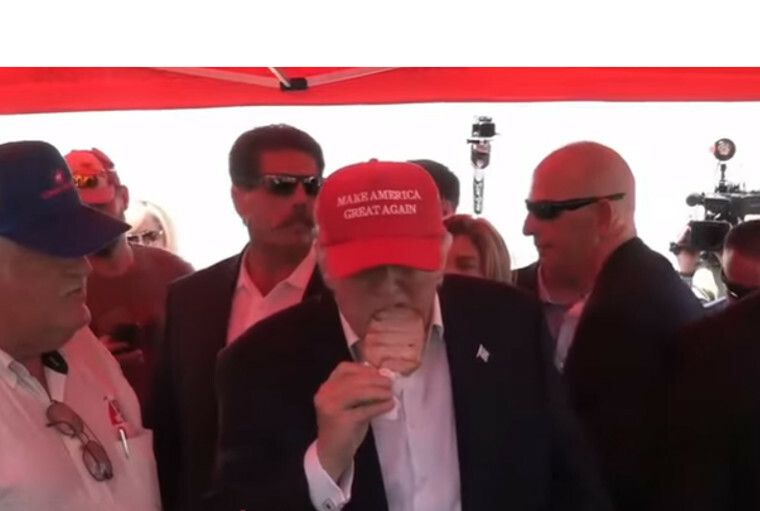 Video still of Donald Trump eating a pork chop at the 2016 Iowa State Fair. Outside of a few cities, such as Des Moines and Iowa City, it’s not always easy being a vegan in Iowa. And while there are some vegan options at the Iowa State Fair — fresh fruit, salads and cotton candy, for example — none of them affords a candidate the opportunity to praise the state’s pork industry, the traditional accompaniment to politicians publicly eating pork. In the end, it will probably be a minor hitch Booker easily sidesteps, but it will be interesting to see a major candidate skip an expected part of their Iowa performance. Whether Booker can win a Hamburg Inn coffee bean caucus without tasting a pie shake is also yet to be determined.